Your anti-lock brake system, or ABS, consists of a hydraulic control unit (HCU), an anti-lock brake control module and both front and rear anti-lock brake sensors. When you apply the brakes, you essentially force brake fluid from master cylinder outlet ports to HCU inlet ports. From the HCU, pressure is transmitted through four solenoid valves to each wheel and your vehicle comes to a stop. During an emergency stop, the ABS modulates brake pressure in order to prevent wheel lock-up. If you would like to learn more about ABS, we invite you to drop by Meineke #225 in Downers Grove, IL. Our friendly specialists know all about anti-lock brakes and how to care for them. Anti-lock brakes offer many benefits to drivers. The key advantage is that ABS brakes allow you to more safely stop in slippery conditions. Some drivers rely on their ABS brakes to help them stop within a shorter distance as well. Although an ABS system cost does add to the price of repairs, the technology is standard on most vehicles now. Without this system, you may lose money during the resale of your vehicle. 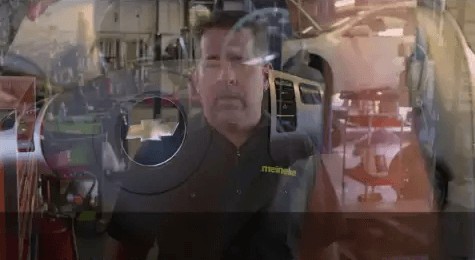 The professional technicians at Meineke #225 in Downers Grove, IL repair and install ABS brakes and we offer silicone brake fluid and mineral brake fluid to maintain your system. Drive safely on icy, snowy, and wet roads any time of year. As long as they appear to work as they should, you probably give little thought to the condition of your anti-lock brakes. However, you may begin to hear a screeching noise when you use your brakes or feel a vibration in the brake pedal. You may also find that when you apply the brakes, they seem less responsive than usual, or that your car seems to be pulling to one side or the other. These are all signs that it’s time to let the specialists at Meineke #225 in Downers Grove, IL, perform a thorough brake inspection. It might seem strange that your regular brakes work properly even though the ABS brake light is on. This is no reason to ignore the light, because the anti-lock brakes prevent hydroplaning or skidding in adverse weather conditions. The ABS brakes give you more traction when you’re on a slick surface. The new technology of braking gives you even more control over your car, even if you start to slide. Bring your vehicle to Meineke #225 in Downers Grove, IL for ABS brake service to keep you and your passengers safe under any type of driving conditions. The cost to repair or replace an anti-brake system, or ABS, can sometimes be concerning. The first thing to do is to bring your vehicle to the specialists at Meineke #225 in Downers Grove, IL. You may only need new brake fluid or just a minor part. It might be that new brake pads are needed. Of course, there could be issues with other brake system components. Our professionals can resolve the problem and see that you’re back on the road safely with a solution that is as cost-effective as possible. Although you can certainly learn how to recognize signs that your ABS brakes need repairs, any repairs should be provided by certified technicians who can ensure your brakes are in good operating condition. Before you come into our store, take a look at our coupons and pick up some savings. 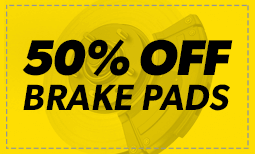 If you are ever in need of brake repairs, come to the professionals at Meineke #225 in Downers Grove, IL. Keep your passengers safe in every type of driving condition by maintaining your brakes.